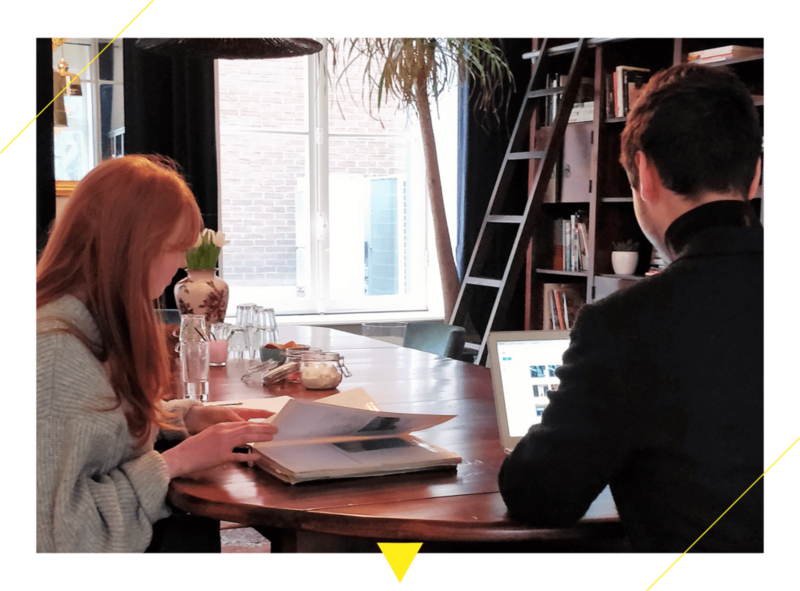 On the 9th of February we held the first interview day at the Amsterdam Fashion Academy for 2018 intake. It’s a day when we invite a group of potential fashion students to come and work with us. An important day for all concerned. The day is designed to give our team the chance to spend time with potential students of our three fashion programmes validated by Bucks New University (Fashion Business (Hons) BA, Fashion with Textiles Design (Hons) BA, Foundation Diploma) and work with them so they can get a real feel of what it is like at our international fashion academy, meet other would-be students and also see Amsterdam. Last week our first group of 15 potential fashion students came from all corners of Europe: Netherlands, UK, Italy, Poland, Greece, Switzerland, Luxemburg, Germany and Norway. This to underline once again the international value of our boutique academy. They worked from 10:00m to 4:00pm with our lecturers Laura Malone and Laura Lepre and created mood boards based on their own taste and personality and in the meantime each student had an interview with Cristiano Carciani, Head of school. We are holding two more interview days: March 23rd and April 26th. So if you missed out on this one but are still interested in studying fashion in Amsterdam, then please contact us as soon as possible. We will more than happy to inform you how to be shortlisted for the next two groups of potential fashion students.